Sterling Silver Menorahs for Hanukkah, the perfect Jewish gift for all ages. 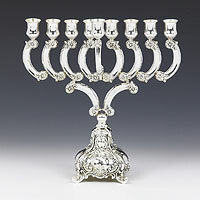 Our Menorah collection range from traditional to modern and even some antiques, Silver Menorahs that use oil or candles. 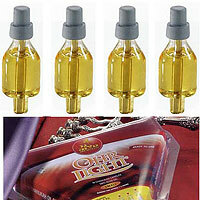 All our Menorahs have the option to be personalized to give it that personal touch. For any questions please feel free to call our office, Yes we DO answer every call! 800-336-2291.